Echinochloa dubia Roem. & Schult. Ischaemum glabrescens Ham. ex Hook.f. Panicum coarctatum Steven ex Trin. Panicum cristagalli Gromov ex Trautv. Panicum dubium Sieber ex Steud. Panicum numidianum Sieber ex Schult. Panicum scindens Nees ex Steud. Panicum segetale Roxb. ex Hook.f. 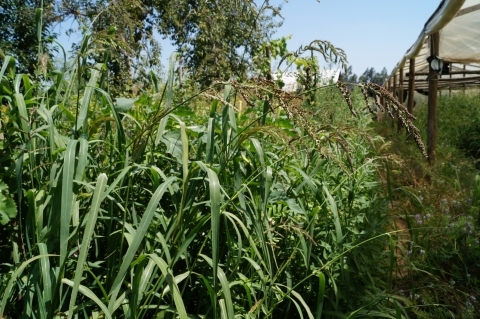 Barnyard millet is a clump-forming annual grass with ascending or decumbent stems 30 - 120cm long. The plant has a relatively long growing season.